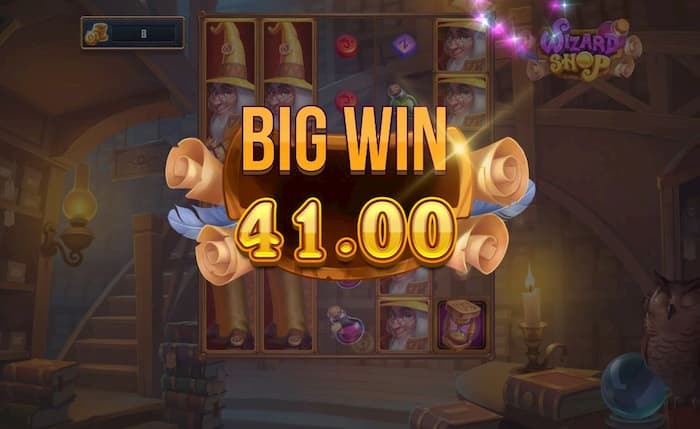 The magical world of the Wizard Shop slot game is unlike any you’ve seen or played before! Is it the expanded 5×6-reel screen that adds the magical touch, or maybe the bonus coins? Whatever it is, Push Gaming’ creativity with this game allows you to make your own choices on how to win! Set against the backdrop of the wizard’s apothecary, a sleepy-looking owl watches over your spins. Colorful rune stones and potions cover the screen as the low- and mid-paying symbols. 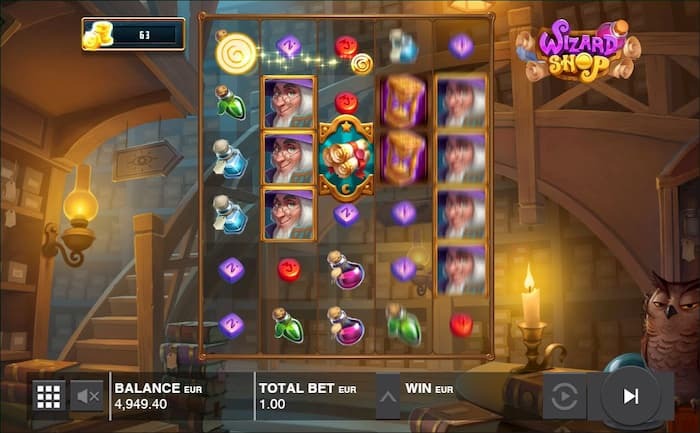 An hourglass, spell book, and the Wizard himself are the game’s highest-paying symbols. Whenever the Wizard symbol appears fully stacked on a reel (i.e. on all 6 rows of a reel), the Wizard Wilds feature activates. Here, the stacked symbols expand to reveal the Wizard in his golden robes. All Wizard symbols on the screen – even those not included in the stacked reel – turn into Wilds. Wizard Wilds can substitute for all symbols except the Scroll and Chest. 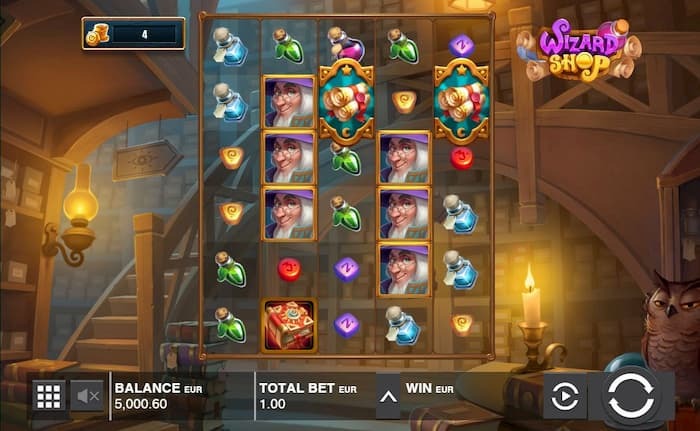 The Regular Wild symbol is only in play during the Free Spins rounds, not the base game. Every now and then, a Coin Token will appear on the screen next to any of the game’s symbols. Each Coin Token will add a number of Coins to your Bank; the number of coins added is equal to your bet multiplier. You’ll also see either Gold Coins or Silver Coins depending on whether you’re playing with real money or bonus money, respectively. 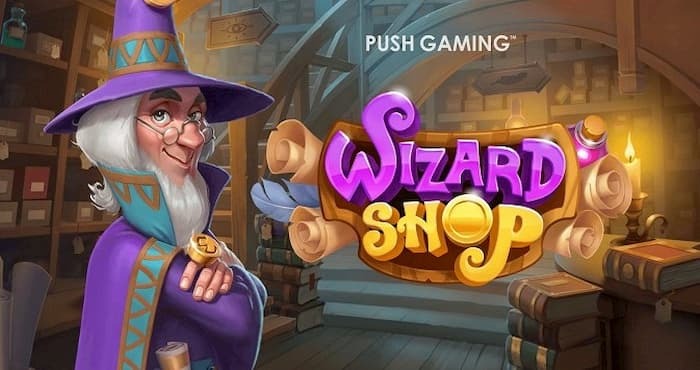 You get to use your Coins at the Wizard Shop at the start of every Free Spins round. If you’re using real money, only the Coins in the Gold Bank can be used whereas if you’re using bonus money, you can only use up the Coins in the Silver Bank. When playing with real money, every 10 Coins added to the Gold Bank will warrant 1 Bonus Coin to be transferred from the Silver Bank to the Gold Bank – as long as the Silver Bank’s balance is greater than 0. Landing 3 scrolls anywhere on reels 1, 3, and 5 will trigger the Wizard Shop Feature. This rewards both 120 Coins into Bank that is active and 10 Free Spins. Added Wilds: Each level you upgrade will add 50 Wilds to the reels. 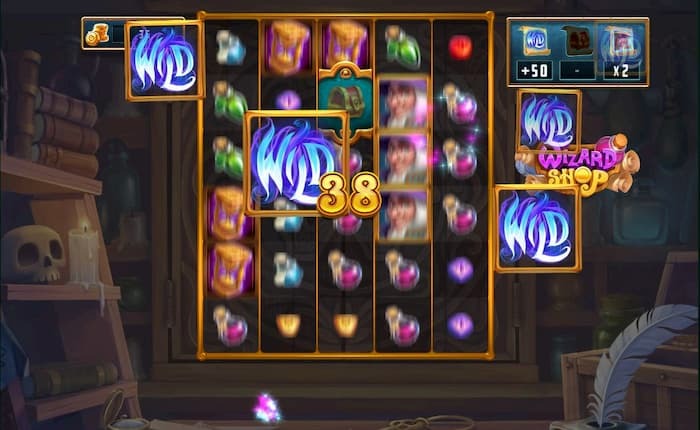 If you have enough coins to upgrade 5 times, you could add up to 250 Wilds to your reels! 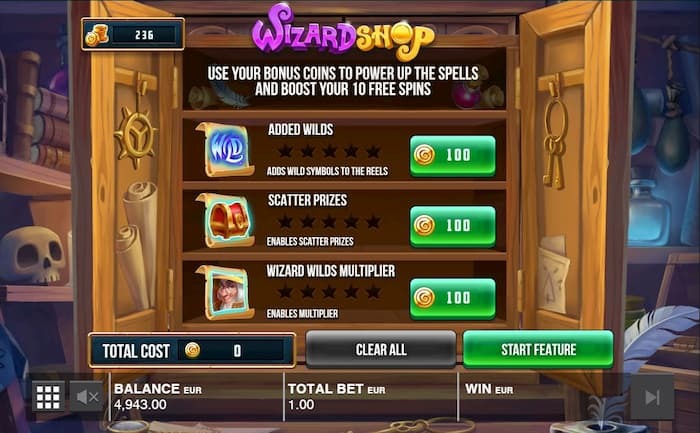 Wizard Wild Multiplier: Each time you buy this upgrade, the win multiplier increases by x2. Upgrade it 5 times for a x10 win multiplier! Scatter Prizes: The special Chest symbol will reward its own prize, increasing by x1 of your bet every time you purchase this upgrade. Buying it a maximum of 5 times means you’ll win x5 your bet with every Chest symbol on screen! Wizard Shop has double the rows and double the fun. Make sure you spend your Coins wisely so you get the most out of the Free Spins! 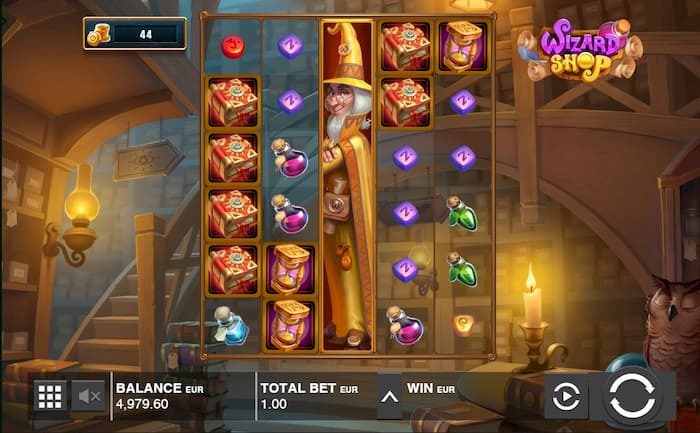 Sprinkle some magic into your video slot routine and play Wizard Shop today!